A leaked report by the International Committee of the Red Cross (ICRC) concludes that medical personnel were involved in torturing terrorist suspects held overseas by the CIA, according to reports in the New York Times. The article highlights the fact that the medical personnel were violating codes of medical ethics. This suggests that there is something especially egregious about medical personnel being involved. Torture is bad, but it is even worse when medics participate. But would it really make it better if the assistants were soldiers or CIA officers who had received some medical training? What if they were scientists or vets? Sometimes we hold doctors to higher standards than the rest of the community. We may, for example, feel particularly aggrieved if a doctor gossips about our health to another patient, but not be concerned (or as concerned) if this is done by our hairdresser. But the moral requirement not to torture or to assist in torture is not of this nature. It is something that should have equal force on a doctor or a CIA officer, a hairdresser or a vet…But the reason that it is wrong for doctors or other health professionals to assist in torture is because it is torture – not because they are doctors. I am not convinced that the wrongness of the action is unaffected by the fact it is committed by medical professionals. And I think the ethics of care explains why. We expect medical professionals to be at least in part motivated by care. Doctoring or nursing is a helping profession in which having the motive to help others is essential to being successful. Medical professionals who assist with torture not only violate their medical code of ethics. They also are acting on a motive which is diabolical when it moves a medical professional, thereby amplifying the wrongness of their actions. CIA officers (or hairdressers) need not have any special caring motive. Thus, although they violate a code of ethics by torturing prisoners, their motives are not in substantial conflict with the motives required to do their job. Of course, all human beings ought to be motivated to some degree by care (on my view of an ethic of care). The act of torture by anyone (in most circumstances) is wrong because it (usually) lacks a caring motive. But for persons who are not medical professionals, that wrongness is not amplified by a motive utterly out of line with professional requirements. 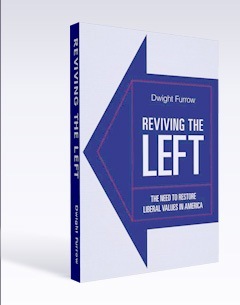 There is more on torture of a different sort at Reviving the Left.